As 2014 draws to an explosive, firework-laden close and 2015 arrives to a fanfare of renewed hopes and dreams, January offers much to the even the most seasoned travellers. Begin your year with a bang with one of these spectacular events taking place around the world this coming January. 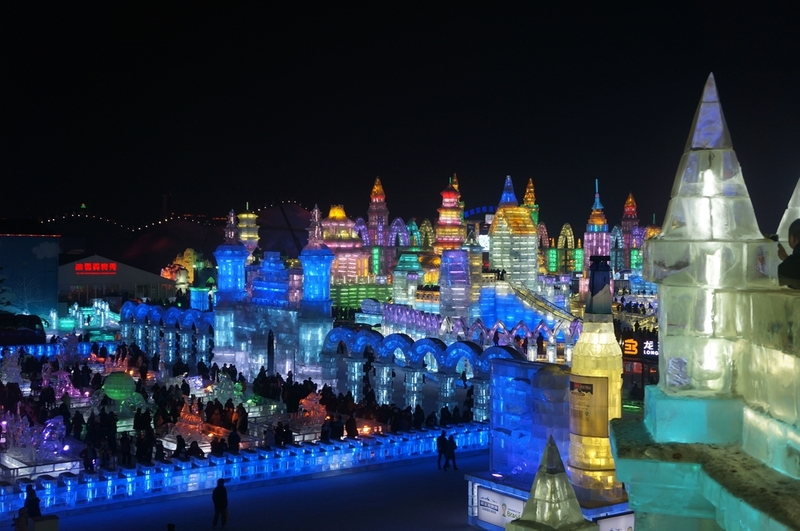 The Harbin International Ice and Snow Sculpture Festival is the largest festival of its type in the world and it's easy to see why – the wintry attractions and freezing features on display are unrivalled anywhere else on Earth. Known as 'The Ice City,' Harbin is notable for its frozen winters, sometimes plummeting to minus 35 degrees, but it's exactly these conditions that allow for the festival to take place. A city resplendent in glistening snow, the intricate ice sculptures are what will first arrest your imagination. Located throughout the city, the greatest concentrations are found in two designated areas – the Sun Island Scenic Arena and Ice and Snow World. The former is open only during the day, the bright sun glinting off the beautifully carved, astoundingly huge sculptures. The detail of the architecture of the ice buildings at Sun Island is nothing short of incredible, so take plenty of pictures before heading across the frozen Songhua River to Ice and Snow World. Ice and Snow World is similar in theme to Sun Island, with famous structures, including the Great Wall of China, faithfully recreated with ice hewn directly from the Songhua River. You'll venture through palaces, past moving statues and towering water fountains – all made from the cold stuff. Unlike Sun Island, however, Ice and Snow World is open in the evening, so you'll be able to view the splendour of the sculptures under a starlit Chinese night. What's more, a kaleidoscope of coloured lights illuminate each meticulously crafted piece in a stunning display of technological wizardry – and you can even take a fun-filled slide down many of them. The Sundance Film Festival is something of an institution for lovers of all things celluloid. Literally hundreds of films are screened over the ten day event, from big-budget thrillers all the way down to those filmed on a shoestring budget. The name Sundance is now synonymous with film – that's because the event is now the largest independent movie festival in the United States. Documentaries, dramatics, shorts and independents are all given equal billing at the festival, spread out over 15 theatres across the small mountain town of Park City. To this end, many distinguished filmmakers of today first gained recognition at Sundance – names such as Kevin Smith, Quentin Tarantino and Robert Rodriguez. Indeed, hundreds of films first seen at Sundance have gone on to gain worldwide release, win multiple awards and reach legions of film fans. Attending the Sundance Film Festival offers a new and exciting experience however deep your love of film may go, as you never know which of the many fresh movies on show may become your new personal favourite or which talented new director may catch your eye. The diversity of genres, stories and ideas displayed is staggering, and you'll be surrounded by a like-minded crowd of enthusiasts for the festival's duration. The Magh Mela is one of the most important of the Hindu holy festivals. It entails the pilgrimage of many thousands of Hindu worshippers to the waters of Sangham, a confluence water of the Ganges, Yamuna and Saraswati Rivers, each eager to take a holy dip in the cold waters. Held over a period of 45 days in Allahabad, Hindus believe that the origins of the Magh Mala signalled the beginning of the universe and takes place during the Hindu month of Magh, which roughly corresponds to mid-January through mid-February on the Gregorian calendar. Even in northern India, those months are not a particular warm time of the year, but the temperature is no deterrent to the devotees that make their way to the waterside. Holding a prayer lamp, the pilgrims perform ancient holy rituals before heading into the murky waters, bathing for several minutes before emerging with a cleansed soul. Though the Magh Mela is smaller in scale to the Kumbh Mela Festival – which routinely attracts up to 100 million people – it's still a fascinating insight into Indian culture and an experience that is unlike that of any other. The Up Helly Aa Fire Festival is held on the Shetland Islands in the midst of each winter, heralding the end of yule. Up to 800 Scotsmen dressed as Vikings (work that one out) – each wielding an unlit torch – take to the night streets, awaiting the signal rocket to launch over the town hall. Once that occurs, all hell breaks loose – torches aflame, the men (known as guizers) launch into a procession, dragging a replica galley through the normally quiet lanes. The galley is temporary home to the head guizer – the Jarl. Once the galley reaches the 'burning site' the Jarl climbs down from the stern, a bugle calls, and the tar torches are thrown onto the ship, setting it ablaze. The Up Helly Aa Festival is one of celebration, parties and singing, even for those shipwrights and carpenters that spent the best part of the year building the doomed ship – this is one truly different event that surpasses all others in its pure character, spirit and uniqueness.